1. Mix all ingredients in bowl until well combined. Add water if you need to get consistency right so you can roll into balls. 2. Roll balls in extra chia seeds and place in fridge. I also like to put mine in the freezer for a treat after dinner! 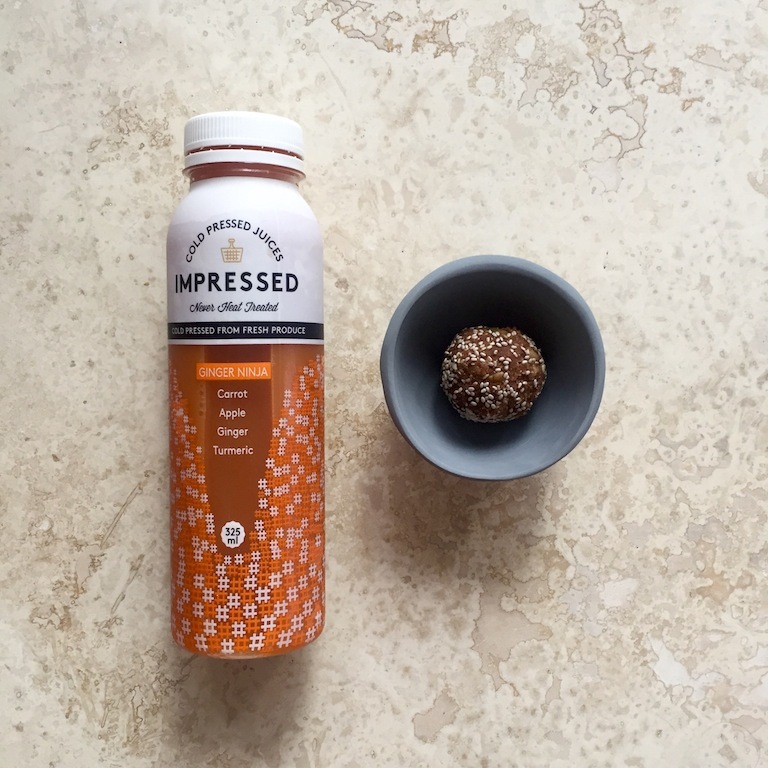 For the ultimate snack I like to have a ball or two with a bottle of Impressed Cold Pressed juice. I love how your bliss balls recipes are just a cut above the usual ones you see loaded with sugar and dates. Thank you for sharing your creations and please keep posting them. You are a source of inspiration.